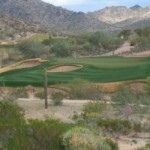 The Pointe Golf Club on Lookout Mountain is a mix of desert and traditional terrain located in the midst of Lookout Mountain and Piestewa Peak. The course is one of the more scenic plays in the state of Arizona due to its location and is a part of the Pointe Hilton Tapatio Cliffs Resort & Spa. 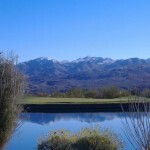 Located 35 minutes west of downtown Phoenix, the Golf Club of Estrella is a championship Arizona desert style course located in the midst of the Sierra Estrella Mountain Range. The fairways follow the natural layout of the land taking you through desert washes, up hillsides and past desert vegetation. Ocotillo Golf Club is a 27-hole traditional style golf course that offers a break from the standard desert scenery with a wealth of palm trees, waterfalls, lush fairways and rows of flowers. This tropical oasis is fun, enjoyable and the conditions are always immaculate. 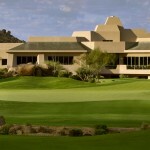 We Ko Pa Golf Club is located on the Fort McDowell Yavapai Nation, just a few minutes east of Fountain Hills. 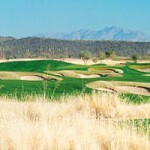 A unique factor about We Ko Pa is that no houses line the courses, so a true desert golf experience awaits you. Troon North Golf Club is home to 36 holes of the best golf in the country, featuring some of the most unique desert scenery in state. 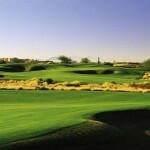 Year after year, Troon is voted as one of the most exciting and scenic golf courses that Arizona has to offer. 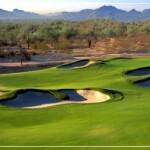 Wildfire Golf Club is a 36-hole golf facility located in Northeast Phoenix that features two desert gems that truly depict golf luxury at its finest. The courses are apart of the JW Marriott Desert Ridge Resort and is a perfect scene for a stay and play golf vacation to Arizona. 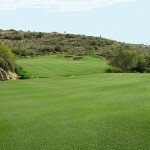 The Whirlwind Golf Club is located towards the east valley in the city of Chandler, AZ and offers 36 holes of championship golf on high-end desert layouts with impeccable service and course conditions. Trilogy at Vistancia Golf Club is a well groomed traditional links style course lined with tall golden like native grass, and is home to over 70 bunkers that lay naturally into the course fairways and rough areas. With 5 tee placements, this course is meant to be enjoyed by all levels of players. 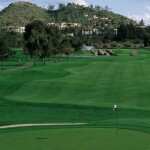 Tonto Verde Golf Club is 36 hole golf facility located towards the northeast valley in the city of Rio Verde. 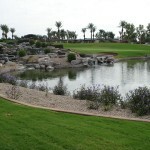 Both courses are surrounded by mountains and abundance of desert vegetation. 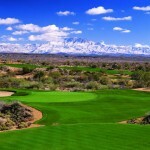 Both courses are known for their desert views and top course conditions.